Check how this vintage lighting designs will make any room pop out! Come and meet the 6 vintage lighting designs that will make 2018 even a better year than what is already is! 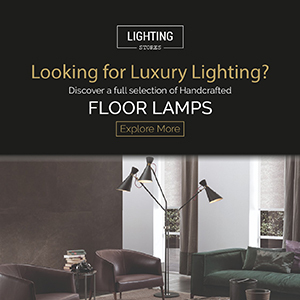 With the home decor trends making us have the best home interiors we ever have, all we have to do is make the final cut: choose the best lighting designs to make our homes even brighter! Ready? Let’s Go! Amy is a new take on the classic mid-century modern chandeliers of the 50s and 60s. Inspired by the great singer and songwriter, this unique chandelier tries to embody the soul of the British legend. A vintage floor lamp to adorn your home is the sometimes all you need to make your interior home project shine. That’s why Lee is so important. Inspired by the top of a 50’s microphone, this vintage lighting design is the one that promises you a good time no matter where it is. Duke. An all-time favourite of DelightFULL’s customers is here to make any interiors shine with grace and style when it lights up a room. With a magnificent stance, this modern pendant light is here to make any mid-century modern living room shine even more bright than a diamond. Clark. Why not add some of the most trendy colour of the year? The Pantone Institute of Colour released its amazingly intense colour just a few weeks ago and since then, we couldn’t help but love ultra violet and how it stays so intense over time. Adding up to it we have the best of the lighting world with this mid-century chandelier making every aspect pop out! An industrial feeling in the midst of all the confusion is sometimes, all you need. That’s why we have Pastorius and its incredible extendable arms to make your reading time even better. With an industrial chic style, this vintage wall lamp is the one to make the wonders of any industrial lobby or vintage industrial style interiors. Inspired by the golden years of space exploration in the 60’s, Neil makes an inspiring stance everywhere you look in the room. Ideal for a vintage dining room Neil will make an innovative touch to any interior design project. Trend Alert: How Rattan Is Making The Vintage Home Decor!